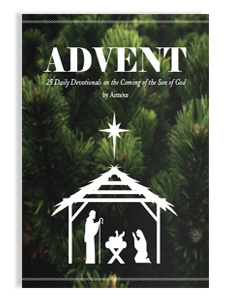 This resource comprises 25 daily devotionals directing attention to passages from the Gospels of Luke and John in order that families may devote the month of December to such reflection and begin to grasp the true significance of the coming of Immanuel, “God with us.” The book also contains four Christmas carols accompanied by explorations of their composition and rich theology. Armour is the author of such works as A Look at Life from the Saddle and A Handbook for Parents in Ministry: Training Up a Child While Answering the Call (with Dorothy Kelley Patterson). Through his writing, Armour aims to prompt thought, contemplation, and discussion among readers. Armour and his wife, Rachel, live in north Texas.